On 2nd May 2019, the electors of West Berkshire go to the polls to vote for new councils across the district. Follow these links to find complete lists of the candidates standing in all of the contested elections in West Berkshire on the West Berkshire Council website. Keep listening to Kennet Radio for full coverage of the elections. 56 of the parish councils in West Berkshire will be “elected unopposed” because not enough candidates have been nominated to require an election. An election will take place only if there are more candidates than there are council seats. If a council is made up of 10 councillors (or seats) then there will be an election only if 11 or more candidates are nominated. If there are 10 or fewer nominations, everyone who is nominated automatically becomes a councillor – they are “elected unopposed”. 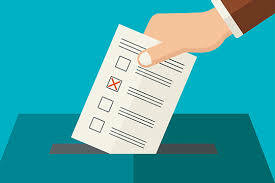 If you would like to be a councillor on your local parish council but you did not submit a nomination by the closing date, it’s not too late if there are available seats. Your local council is allowed to co-opt councillors to fill any vacant seats. Contact the parish clerk of your local council to find out more. Why not take a look and see if your local council will have any vacancies?